first year of teaching and the many years that are sure to follow. There are tricks of the trade, real-life examples, pictures and charts from current and experienced teachers in the field. Read the reassuring and helpful words of wisdom from those that came before you. 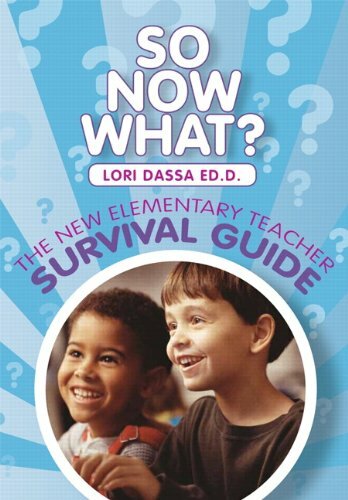 Being a teacher is a constant learning process, now you have the perfect pocket guide,So Now What? What Am I Supposed to Teach? WORKMAT 2 - Learning G-O-A-L! I Know My Shape &#8230; Now what?